The bladder in Chinese Medicine, is one of the six yang organs, paired with one of the six yin organs, known for kidney health. Obviously, urination is an essential component to the functioning of our bodies, and as such, the bladder plays a vital role through its filling and emptying of urine. 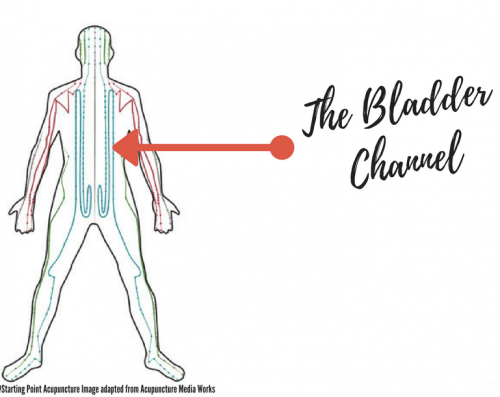 In acupuncture, one of the essential aspects of the bladder channel is treating the back. The bladder channel runs from the inner canthus of the eye, over the top of the head, down the neck and the back on either side of the spine, through the sacrum and down the back of the leg to the knee. Then the channel travels back up to the top of the back and begins its downward trajectory again, tracing another trail down the length of the back, more lateral than the first. It then continues down the back of the leg to the outside of the pinky toe. The bladder channels trajectory makes it a powerful channel for treating most kinds of neck, back, sacral, hamstring, calf and achilles pain. It is particularly helpful when there is a pain condition affecting more than one of these sites. Every energy system in TCM exerts an effect on both the physical body and the mental/emotional self. The kidneys are associated with fear – this means excessive fear will weaken the kidneys, but irrational fear can also be a symptom of a kidney imbalance. As the bladder is linked to the kidneys, it can be used to support the kidneys in treating fear. When the bladder itself is out of balance, there may be negative emotions such as jealousy, suspicion, and inability to let go of grudges. To take care of the bladder, make sure you drink plenty of non-caffeinated, non-sugary beverages throughout the day to optimize its water transforming function. Eating a kidney-nourishing diet will also help the bladder energy. To keep the energy flowing optimally through the bladder meridian, make sure to stretch! Create a daily stretching routine that includes stretches for the whole posterior portion of the body. You might think about including foam rolling, massage, myofascial release, cupping, gua sha or tuina. 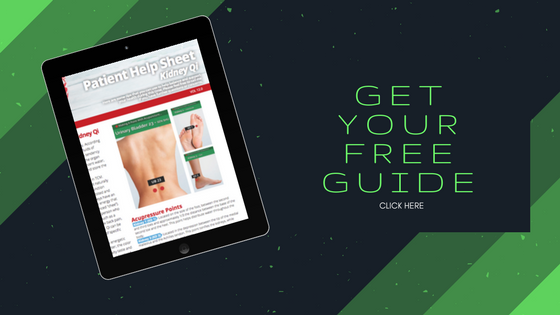 ← Can acupuncture help with weight loss?